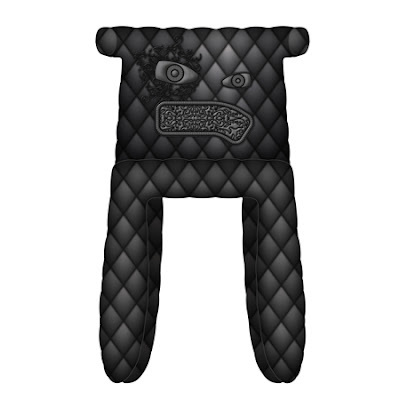 The first piece of vicious-looking (but kind of adorable) furniture to come out of Milan last week was the Monster Chair by Marcel Wanders for Moooi. Next in Milan was Fury! 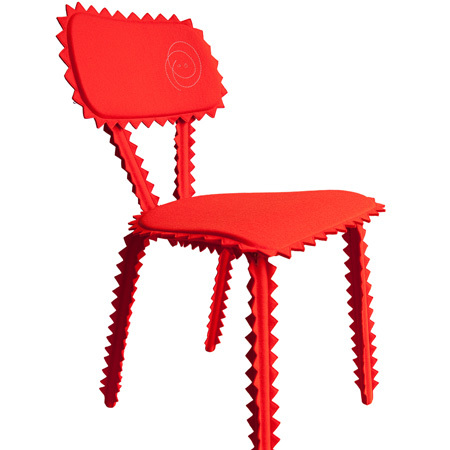 by Roel-jan Elsinga, a razor-sharp felt-covered design. 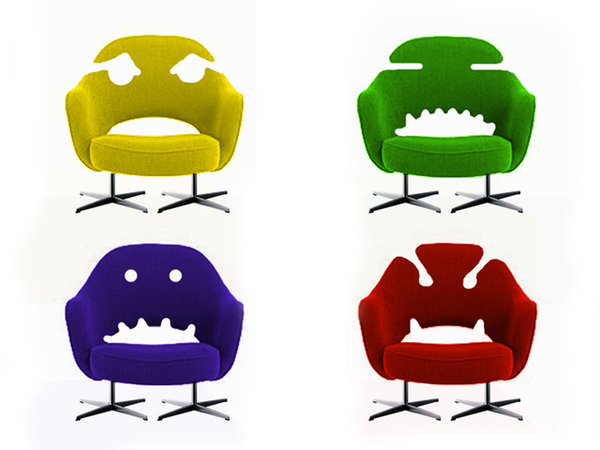 But my favorite is from a random dude calling himself "Tricky," who made these out of Eero Saarinen Executive Chairs. Amazing! I don't know if my husband would be as enthused, but I would totally put that first chair in my living room. I quite love it!